• In her motherly role, she gave life to Jesus and gives life to us, her spiritual children. • In her teaching role, she shows us how to trust in God's providential working in our own lives, just as she trusted in God when she completely abandoned herself to his will in her own life. • In her role as advocate, she has compassion on all her children as she intercedes for us. 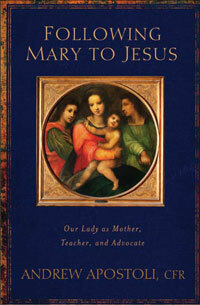 Apostoli uses numerous anecdotes and stories to engage his readers as he helps Catholics gain a deeper appreciation of Mary's active and loving presence in their lives.